Elevate your look with this orange hue bodysuit. 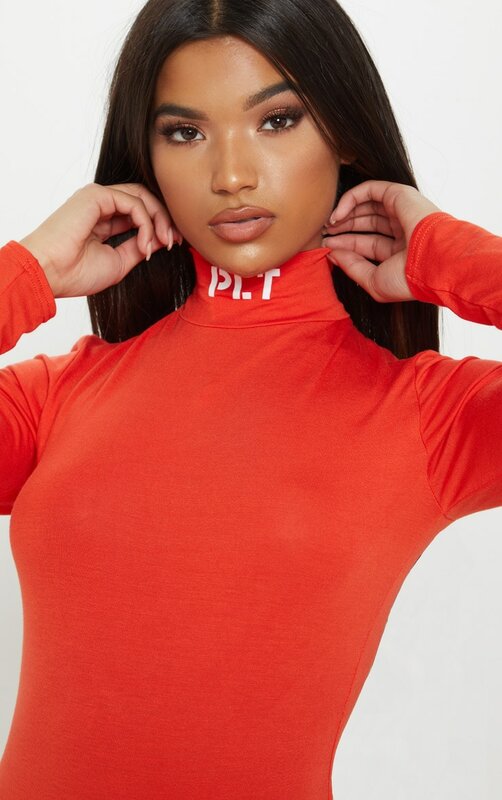 Featuring an orange material with a high neck and a popper fastening. Team this a mini skirt and bright heels for a night out with the dolls.